What explains the high energy intensity in Iceland? The worlds major economies have gradually been reducing their energy intensities (using less energy to produce one unit of GDP). This, for example, applies to all the Scandinavian countries. However, this does not apply to Iceland; Iceland has been increasing its energy intensity. Reducing energy intensity means increasing the energy efficiency in the economy. China is an example of a country where the trend towards more energy efficiency has been evident. As the Chinese economy has increased productivity and moved towards higher value products, GDP has increased much faster than energy consumption. Industry is often classified into three sectors; primary, secondary, and services (tertiary sector). The primary sector involves the retrieval and production of raw materials, while the secondary sector involves the transformation of raw or intermediate materials into goods. The services- or tertiary sector involves the supplying of services to consumers and businesses. Economies previously dominated by primary and secondary sectors, such as in Denmark, have steadily decreased their energy intensities since 1990. 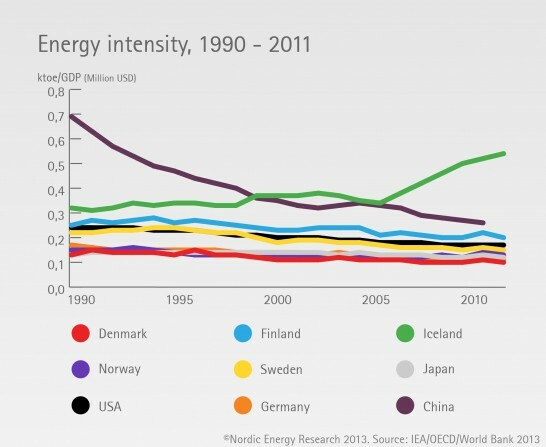 The economies in Sweden and Finland also follow this trend – although their energy intensity increased in the early 1990s due to an economic recession. The reason for the present high energy intensity in Iceland, is the recent expansion of energy-intensive industries in the country. It is especially the aluminum industry that has expanded at a much faster rate than the general economy in Iceland has grown. On average, industry accounts for about a third of the energy use in the Nordic countries. This is considerably higher than in most other developing countries. Both Iceland and Norway have significant metal manufacturing. 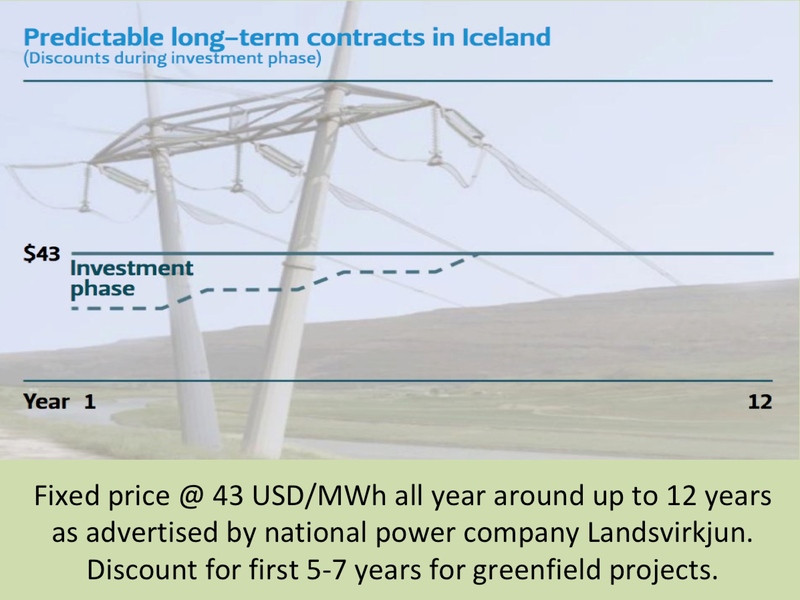 This is due to historically cheap and plentiful hydroelectricity (and geothermal energy in Iceland). Because of the electricity consumption by the aluminium industry and other energy-intensive industries, Iceland and Norway actually have the world’s highest electricity consumption (and production) per capita!